The Stranger "Ballast LTD Tomorrow" BMX Frame - Brakeless comes with a very limited "tomorrow" colorway and has a modern BMX Street geometry with a 12.8" rear end and 75.5° head tube angle. 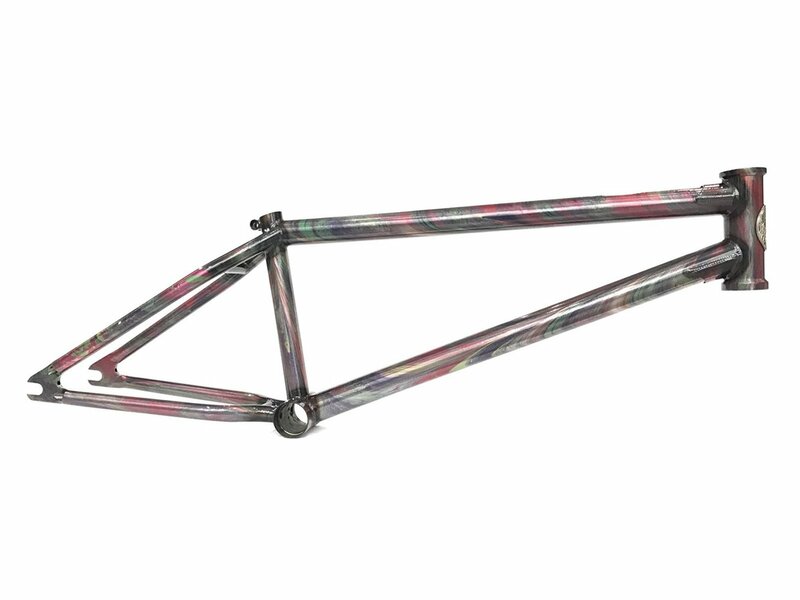 The Stranger "Ballast LTD Tomorrow" BMX Frame - Brakeless is a breakless frame without any brake mounts or gyro tabs holes and is equipped with a integrated seat clamp and a 7mm invstment cast dropout. Chain Stay (CS): 12.8" - 13.1"